The ambition of this book is to resituate the problem of ‘world literature,’ considered as a revived category of theoretical enquiry, by pursuing the literary-cultural implications of the theory of combined and uneven development. This theory has a long pedigree in the social sciences, where it continues to stimulate debate. But its implications for cultural analysis have received less attention, even though the theory might be said to draw attention to a central – perhaps the central – arc or trajectory of modern(ist) production in literature and the other arts worldwide. It is in the conjuncture of combined and uneven development, on the one hand, and the recently interrogated and expanded categories of ‘world literature’ and ‘modernism,’ on the other, that this book looks for its specific contours. In the two theoretical chapters that frame the book, the authors argue for a single, but radically uneven world-system; a singular modernity, combined and uneven; and a literature that variously registers this combined unevenness in both its form and content to reveal itself as, properly speaking, world-literature. In the four substantive chapters that then follow, the authors explore a selection of modern-era fictions in which the potential of their method of comparativism seems to be most dramatically highlighted. Bringing together new accounts of the pulp horror writings of H.P. Lovecraft and the rise of the popular early 20th-century religious movements of American Pentecostalism and Social Gospel, Pentecostal Modernism challenges traditional histories of modernism as a secular avant-garde movement based in capital cities such as London or Paris. Disrupting accounts that separate religion from progressive social movements and mass culture, Stephen Shapiro and Philip Barnard construct a new Modernism belonging to a history of regional cities, new urban areas powered by the hopes and frustrations of recently urbanized populations seeking a better life. In this way, Pentecostal Modernism shows how this process of urbanization generates new cultural practices including the invention of religious traditions and mass-cultural forms. Natural Disasters and Victorian Empire: Fevers, Famines and the Literature of South Asia examines how catastrophic events such as famines and epidemics became focal points of Victorian understanding about imperialism in the tropics, as well as about the relationship between literature and environment. On the one hand, disaster events could be understood as ‘natural’ elements of the tropical environment, and imperialism as a palliative force that acted as a bulwark against these on behalf of the long-suffering native subjects. At the same time, they could also be understood as ‘historical’ manifestations of the economic, political and social impact of imperialism itself. By comparing literary works with a wide range of administrative, medical, scientific, journalistic and literary texts, the book suggests that such paradoxical understanding of the natural, the historical and the cataclysmic became fundamental to both Victorian understandings about empire and aesthetics. Neil Lazarus's latest book draws upon the concerns and debates of WREC to illustrate the need for a new approach to literary studies that lays the foundation for world literary systems analysis. 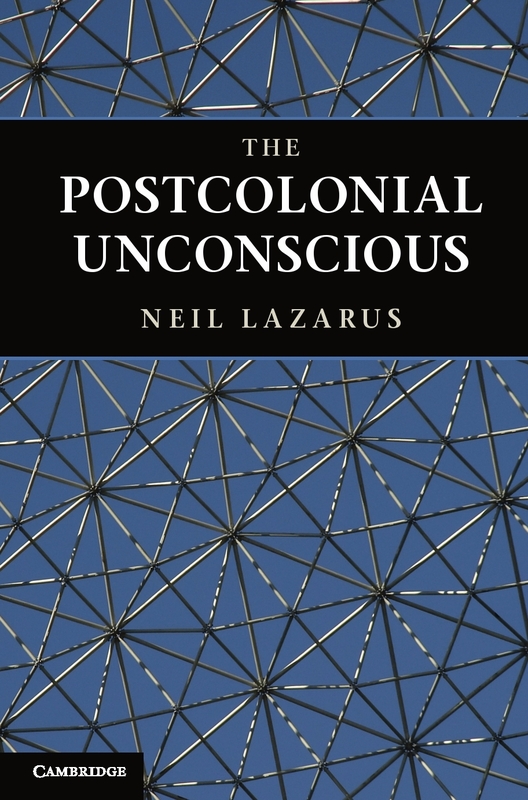 Cambridge University Press description: "The Postcolonial Unconscious is a major attempt to reconstruct the whole field of postcolonial studies. 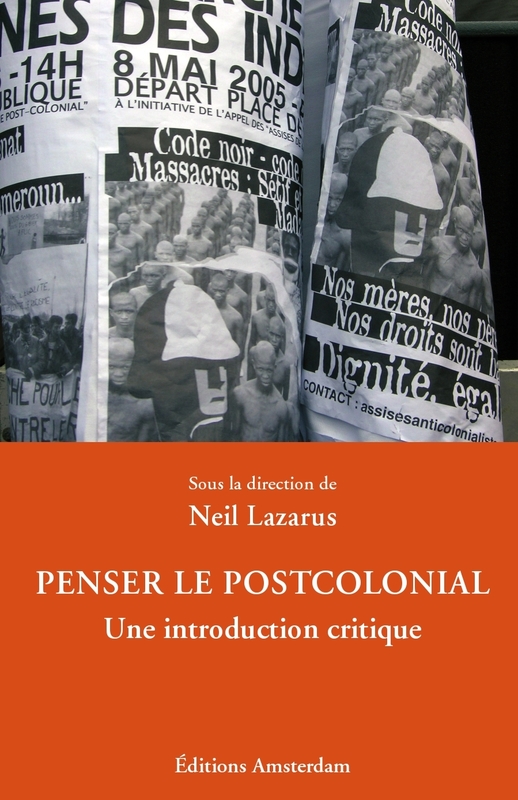 In this magisterial and, at times, polemical study, Neil Lazarus argues that the key critical concepts that form the very foundation of the field need to be re-assessed and questioned. Drawing on a vast range of literary sources, Lazarus investigates works and authors from Latin America and the Caribbean, Africa and the Arab world, South, Southeast and East Asia, to reconsider them from a postcolonial perspective. Alongside this, he offers bold new readings of some of the most influential figures in the field: Fredric Jameson, Edward Said and Frantz Fanon. A tour de force of postcolonial studies, this book will set the agenda for the future, probing how the field has come to develop in the directions it has and why and how it can grow further." Pablo Mukherjee's Postcolonial Environments explores the links between historical combined and uneven development, global environmental degradation and contemporary literary and cultural forms. Palgrave Macmillan Description: "The talk of a catastrophic contemporary environmental crisis is all around us. Yet the relationship between such crises and literary and cultural forms remains relatively unexamined. This book offers a way to think about this relationship by reading a number of key contemporary Indian novels alongside accounts of the severely stressed ecology and environment of the country. In doing so, postcolonial environments also suggests a new alignment between the theoretical fields of postcolonial and environmental studies. In showing how such an alignment can provide us with a materialist and historicist account of environments of cultures and cultures of environment, the book makes an original contribution to the emergent area of green postcolonialism." 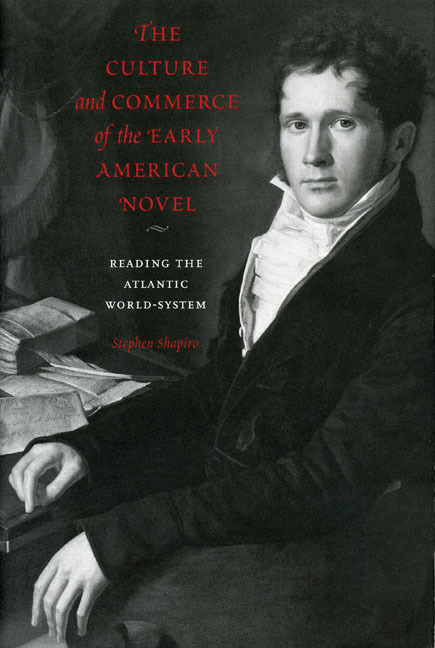 Stephen Shapiro’s The Culture and Commerce of the Early American Novel applies WREC’s world literary systems theory to create a new conception of the birth and expansion of the novel in United States. Penn State University Press Description: "Taking his cue from Philadelphia-born novelist Charles Brockden Brown’s Annals of Europe and America, which contends that America is shaped most noticeably by the international struggle between Great Britain and France for control of the world trade market, Stephen Shapiro charts the advent, decline, and reinvigoration of the early American novel. That the American novel 'sprang so unexpectedly into published existence during the 1790s' may be a reflection of the beginning of the end of Franco-British supremacy and of the power of a middle class riding the crest of a new world economic system. Sorcha Gunne, "Mind the Gap: An Interview with Neil Lazarus", Postcolonial Text, 7(3): 2012. Pablo Mukherjee, “Ivan Vladislavić: Traversing the Uneven City,” Journal of Postcolonial Writing 48.2 (2012): 472-484. Sorcha Gunne, ‘Contemporary Caitlín: Gender and Society in Celtic Tiger Popular Fiction,’ Études Irlandaises 37.2 (2012): 143-158. Stephen Shapiro, “The Motivation of Literary Theory: From National Culture to World Literature.” Teaching Theory. Ed. Richard Bradford. London: Palgrave, 2011: 78-94. Stephen Shapiro, “Transvaal, Transylvania: Dracula’s World-system and Gothic Periodicity,” Gothic Studies 10.1 (2008): 24-47. Stephen Shapiro, “World-Systeming American Studies,” Review of International American Studies 1.1 (2006): 29-33. Stephen Shapiro, “The Technology Of Publicity In The Atlantic Semi-Peripheries: Benjamin Franklin, Modernity, and the Nigerian Slave Trade.” Beyond the Black Atlantic: Relocating Modernization and Technology. Ed. Walter Göbel and Saskia Schabio. London: Routledge, 2006. 115-134.